This patient lost all of her teeth because of extensive decay. She had implants placed to support her new dentures and is able to eat whatever she wants again. 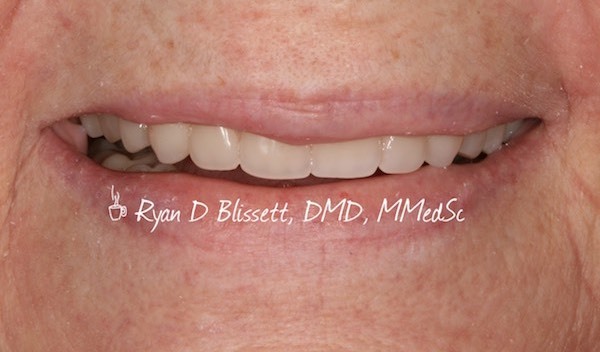 This patient had all of her teeth removed because of advanced gum disease. 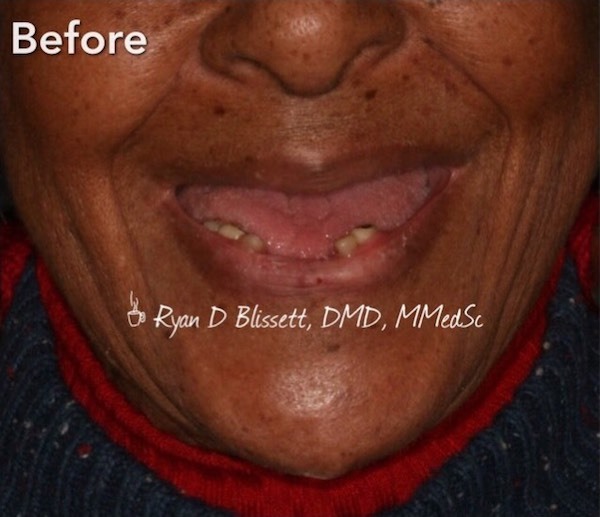 Dr. Blissett made her new dentures so that she can eat and smile again. She plans to have implants placed in the future to improve the performance of her dentures. This patient had her old dentures replaced with new dentures and loves how much younger she looks now. 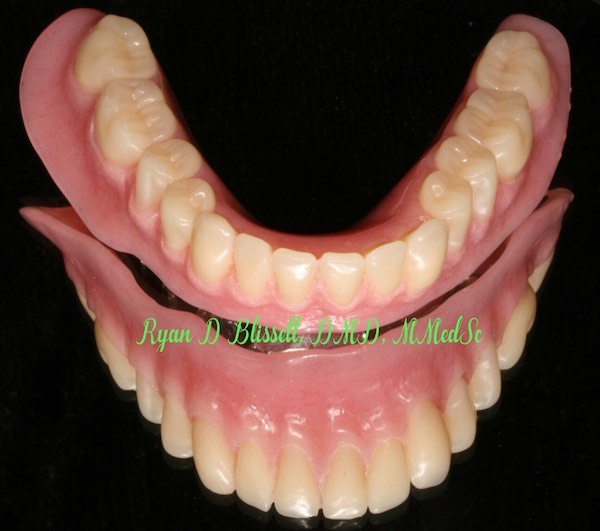 The performance of a denture can be greatly improved by adding an implant supported bar underneath. 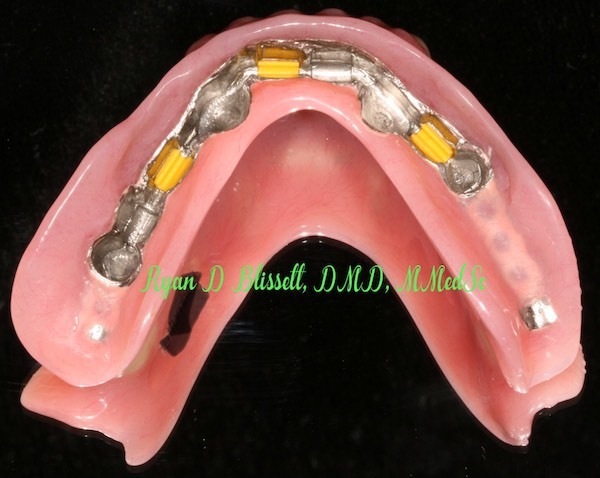 This will also help maintain bone, thereby improving the long term prognosis for the denture. Dr. Blissett is proficient at this type of complex dentistry.